Zapatillas De Futbol. Nike Air Jordan Neymar, Grass Y Loza. 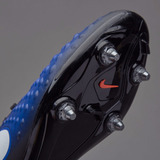 Nike Mercurial Ix Proximo Street. Chimpunes Nike, Neymar Ousadia E Alegria. Nike Mercurial Superfly Cr7 Gold.